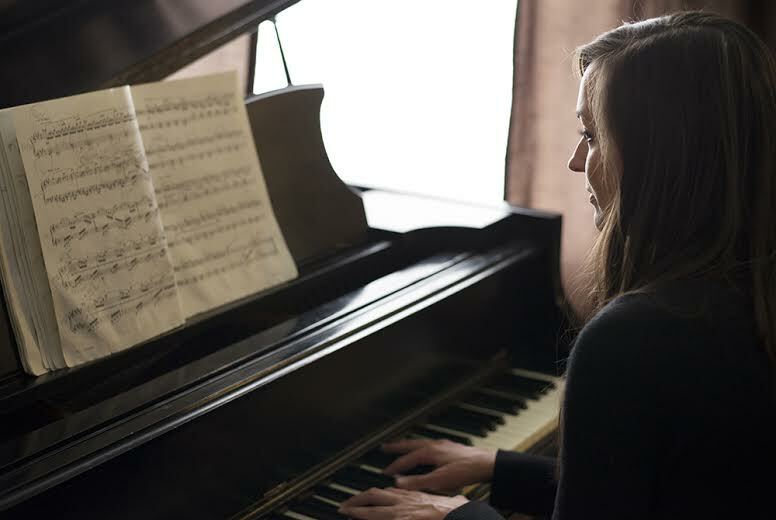 Piano Possibilities is a piano studio designed for busy families throughout greater Portland, Oregon – lessons can be provided at your home (online via Skype) or the instructor’s music studio. Flexible lesson times and customized one-on-one instruction is offered from a classically trained musician. Students of all ages and skill levels are accepted with everyone receiving performance opportunities and exposure to music theory and history to enhance their educational experience. Every student learns differently, so the teaching method at Piano Possibilities is adapted for every individual. With that in mind, a variety of resources will be used to teach and inspire everyone with their music endeavors. Those resources include proper repertoire selection for improving technique, listening assignments to help develop musicality, rhythmic exercises to cultivate a natural understanding of tempo, sight reading activities to enhance overall musicianship and improvisational/composition training to encourage creativity. It is also important for the student’s individual goals to be discussed. From conversations with the student and/or family, a personalized plan of study will be crafted by the teacher. These plans can stem from wanting to play “twinkle, twinkle, little star” to performing a Rachmaninoff piano concerto. Either way, helping students achieve their goals is making music possible for everyone. Performing has a number of benefits for students – with music as well as other endeavors in their life. Preparing for recitals encourages a strong work ethic, helps students focus during practice sessions, promotes confidence, and teaches individuals how to handle stress as well as how to manage setbacks and triumphs. Throughout the year, every student will have an opportunity to perform in recitals and other local events. Recitals will typically occur during the winter and summer seasons with an audience filled with family and friends of the performers. Students will receive customized preparation from their instructor on how to prepare for a live performance so they can have the best experience possible. Music theory and history education is offered along with lessons to every student; however the level of detail is up to you! During lessons, your instructor will provide a curriculum that is adapted and customized to your interest with these topics. A summary of the benefits of music theory and history is listed below. Music theory is an essential component to learning music. It stems from the basic elements such as understanding notation to more advance topics such as the construct of music. Having an understanding of music theory prepares students to learn pieces quicker and more thoroughly because they will have a strong foundation of the key elements of music: how scales and chords are formed, how chord progressions lead to melodies and how musical forms create some of the most iconic pieces we hear today! Training in music theory will also allow the student to think about music critically as they will be able to dissect styles and understand the overall structure behind the music. Music history is also a key component to music making. It includes learning general information about composers to more detailed subjects discussing stylistic features of a particular musical era. Music also portrays the ethnic and cultural traditions of the composer as well as the political climate when the music was written. Understanding these topics will help with comprehending the meaning behind the music and how to interpret the blueprint left by each composer. Decoding this musical blueprint will help students play with the appropriate character and improve their musicality when learning repertoire.